Standard desk-type stapler operates manually to staple up to 20 sheets of paper at one time. Anvil adjusts to produce either a standard or pin clinch. Throat depth is 3". Base swings clear for tacking. 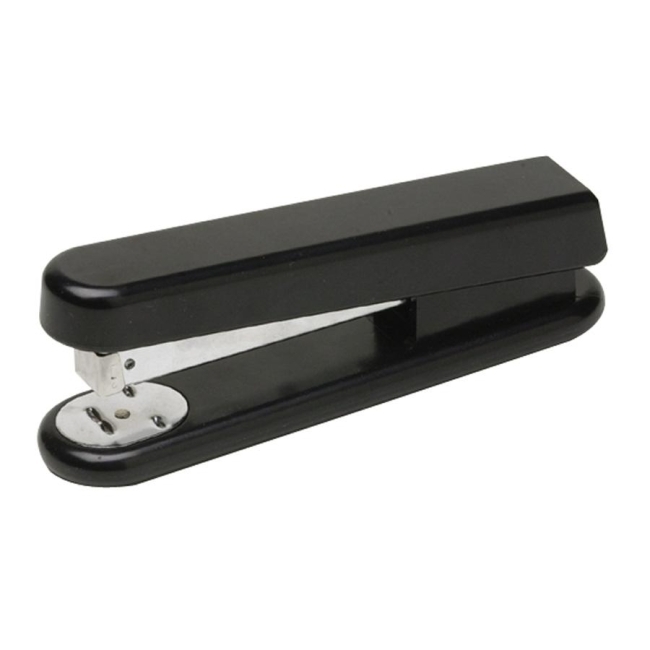 Stapler holds 210 size 1 standard staples (1/4" x 1/2").